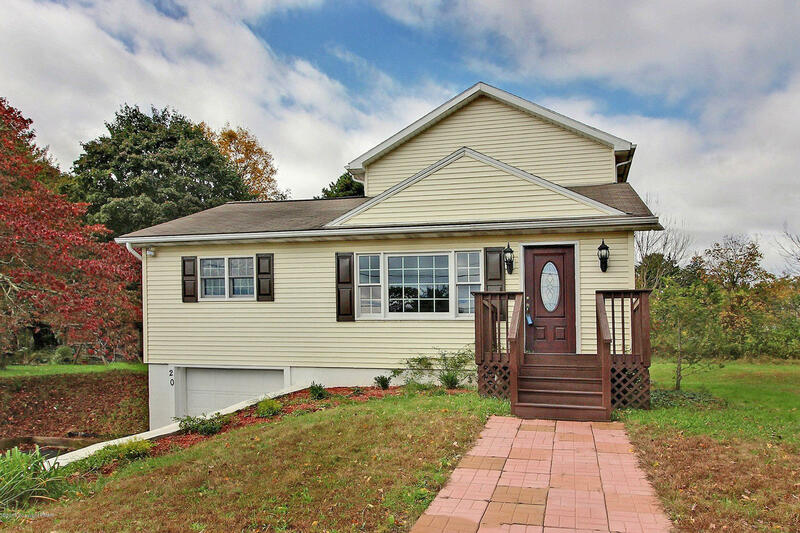 Remodeled 4 Bedroom, 2 Bath Home in Perfect Commuter Location Just 10 Minutes from Martz Direct NYC Transportation, Two Medical Centers, East Stroudsburg University and Downtown Stroudsburg with it's Restaurants, Pubs, Wineries & Farmers Market! Tour this Home and be Amazed at the Ultra Large Family Room with Fireplace and Opening to Very Large Deck Leading to Flat Yard! The Perfect Entertaining Home! Throughout the Home find Designer Touches like a Kitchen with Granite Counters, Tile Floor & Back Splash with Stainless Appliances! Bathrooms Offer All New Tile and the Master Bath Suite Offers a Tub Large Enough to Swim! Plenty of Paved Parking with Garage and Full Basement! Call to View Today!